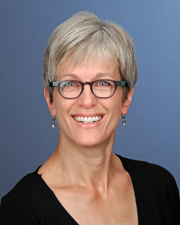 Dr. Mary E. Morningstar was an associate professor in the Department of Special Education at the University of Kansas and Director of the Transition Coalition, which offers online transition professional development and resources for secondary special educators and practitioners. Her research agenda includes evaluating secondary teacher quality and professional development, culturally diverse family involvement in transition planning, and interagency collaboration. She is also examining the impact of inclusive secondary experiences for students with significant disabilities on postschool outcomes. Currently, she is developing a multi-dimensional model of adult life engagement for transition. Dr. Morningstar coordinates an online masters program, focusing on preparing secondary educators across the country to provide transition education and services to youth with disabilities. She has designed and teaches several of the online classes and is currently coordinating the online masters in transition program. She also coordinates the teacher education program for teachers of students with significant disabilities, and in this role, is working with colleagues to transform special education endorsement coursework to support inclusive practices in schools and the community. Dr. Morningstar has been involved in training, professional development and research regarding transition from school to adult life for over 25 years. Prior to moving to Kansas, she worked as a teacher for students with significant intellectual disabilities. Mary has been an active advocate for all persons with disabilities based on her experiences as a sibling of a brother with disabilities. Dr. Morningstar specializes in secondary special education and transition to adulthood, online instruction and professional development, and education of students with significant disabilities. Thoma, C. A., Browder, D. Lemons, C. Thurlow, M. Morningstar, M. E., Agran, M. & Cain, I. (2016). Education of students with intellectual and developmental disabilities. Critical issues in intellectual and developmental disabilities: Contemporary research, practice, and policy. Washington, DC: American Association on Intellectual and Developmental Disabilities. Lattin, D. L., Morningstar, M. E., Ray-Oyler, S. Thornton, H. Murray, A. K., & Erickson, A. G. (2016). Transition Coalition Self-Study: IDEA and Secondary Transition, National Edition. Lawrence, KS: Transition Coalition, University of Kansas, Beach Center on Disability, Life Span Institute. Lattin, D. L., Morningstar, M. E., Ray-Oyler, S. Thornton, H. Murray, A. K., Erickson, A. G., & Grillot, J. (2015). Transition Coalition Self-Study: IDEA and Secondary Transition, Missouri Edition. Lawrence, KS: Transition Coalition, University of Kansas, Beach Center on Disability, Life Span Institute. Morningstar, M. E., & Clavenna-Deane, E. (2014). Preparing secondary special educators and transition specialists. In P. T. Sindelar, E. D McCray, M. T Brownell, & B. Lignugaris (Eds. ), Handbook of research on special education teacher preparation. Florence, KY: Routledge. Morningstar, M. E. (2014). TASH inclusive education research agenda for advocacy. TASH Inclusive Education National Agenda Committee Washington, DC. Madaus, J. W., Dukes, L. L., Martin, J. E., & Morningstar, M. E. (2013). Postsecondary education assessment: Practices to document student progress, preferences, and interests related to postsecondary education and learning. In C. A Thoma & R. Tamura (Eds. ), Demystifying Transition Assessment. Baltimore, MD: Brookes Publishing Company. Lattin, D. Morningstar, M. E., Ray-Oyler, S. Blagg-Thornton, H. Gaumer Erickson, A. Grillot, J. & Paradise, J. (2013). Transition Coalition self-study: IDEA and secondary transition facilitator guide, Georgia edition. Lawrence, KS: Transition Coalition, University of Kansas, Beach Center on Disability, Life Span Institute. Lattin, D. Morningstar, M. E., Ray-Oyler, S. Blagg-Thornton, H. Gaumer Erickson, A. Grillot, J. & Paradise, J. (2013). Transition Coalition self-study: IDEA and secondary transition facilitator guide, Kansas edition. Lawrence, KS: Transition Coalition, University of Kansas, Beach Center on Disability, Life Span Institute. Lattin, D. Morningstar, M. E., Ray-Oyler, S. Blagg-Thornton, H. Gaumer Erickson, A. Grillot, J. & Paradise, J. (2013). Transition Coalition self-study: IDEA and secondary transition facilitator guide, Missouri edition. . Lawrence, KS: Transition Coalition, University of Kansas, Beach Center on Disability, Life Span Institute. Lattin, D. Morningstar, M. E., Ray-Oyler, S. Blagg-Thornton, H. Gaumer Erickson, A. Grillot, J. & Paradise, J. (2013). Transition Coalition self-study: IDEA and secondary transition team guide, Georgia edition. Lawrence, KS: Transition Coalition, University of Kansas, Beach Center on Disability, Life Span Institute. Lattin, D. Morningstar, M. E., Ray-Oyler, S. Blagg-Thornton, H. Gaumer Erickson, A. Grillot, J. & Paradise, J. (2013). Transition Coalition self-study: IDEA and secondary transition team guide, Kansas edition. Lawrence, KS: Transition Coalition, University of Kansas, Beach Center on Disability, Life Span Institute. Lattin, D. Morningstar, M. E., Ray-Oyler, S. Blagg-Thornton, H. Gaumer Erickson, A. Grillot, J. & Paradise, J. (2013). Transition Coalition self-study: IDEA and secondary transition team guide, Missouri edition. . Lawrence, KS: Transition Coalition, University of Kansas, Beach Center on Disability, Life Span Institute. Trainor, A. A., Morningstar, M. E., Murray, A. K., & Kim, H. (2013). Social capital during the postsecondary transition for young adults with high incidence disabilities. Prevention Researcher, 20(2), 7-10. Morningstar, M. E., Knollman, G. Semon, S. & Kleinhammer-Tramill, J. (2012). Accountability for what matters: Using postschool outcomes to build school and community renewal. In L. C. Burrello, W. Sailor, & J. Kleinhammer-Tramill (Eds. ), Unifying Educational Systems: Leadership and Policy Perspectives (pp. 158-167). Florence, KY: Routledge, Taylor & Frances Group. Kang, M. J., Petr, C. G., & Morningstar, M. E. (2012). Improving the transition-to-adulthood outcomes of youths with emotional and behavioral disabilities. School Social Work Journal, 37(1), 54-74. Noonan, P. M., & Morningstar, M. E. (2011). Effective strategies for interagency collaboration. In M. L. Wehmeyer & K. W. Webb (Eds. ), Handbook of adolescent transition education for youth with disabilities (pp. 312-328). Routledge, Taylor & Frances Group.